This was our group's scrum board. 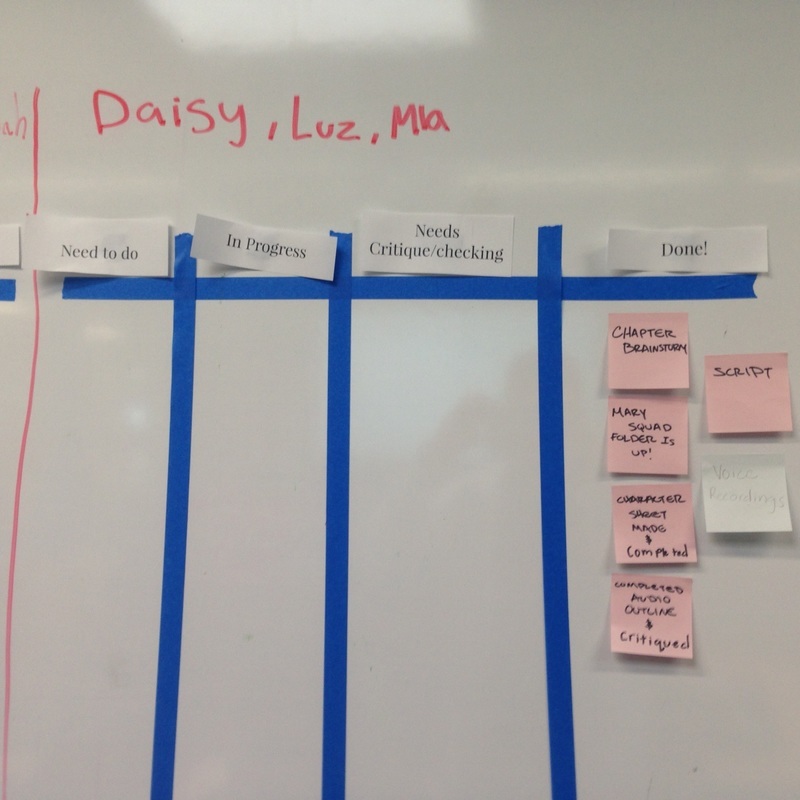 The purpose of a scrum board is to write down tasks that needed to be done and move them to the right as they get completed, doing this helped us visualize the progress of our project and what we still needed to get done. Using the board was very helpful in keeping our group updated on what we needed to do at all times.